The accelerated rate of global change is placing increasing pressure on the Mining industry. A steep rise in the commodity market volatility with some commodities shifting from long-term contracts to spot-market buying. Uncertainty surrounding mining supplies, with an increasing incidence of deviations in mining volume and grade between survey results and mine plans. The increasingly more remote nature of operations placing constraints on resource availability, and infrastructure readiness (rail, roads, and shipping) while increasing cost and often adding significant geo-political risk. Environmental uncertainty, (regardless of mining methods such as open-pit or underground mining), including variations in geology, treatment, terrain, and weather. Organisational silos (mine, rail, port, ship, commercial, trading, mining assets) leading to organisational and communications disconnects. 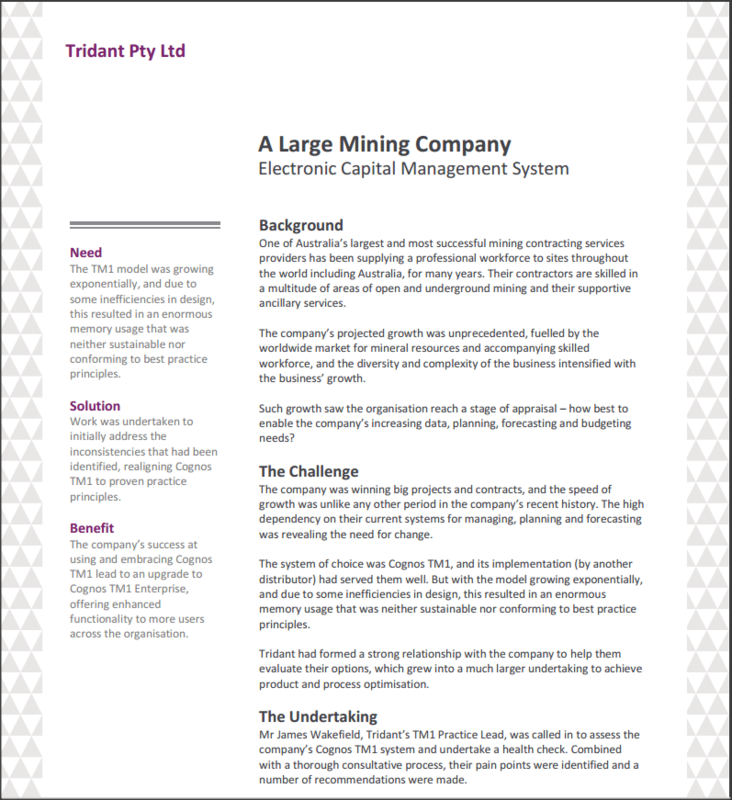 The 300+ stand-alone mining technical system deployments supporting mining operations – introduced to accommodate specific requirements, influenced by mining professionals’ personal information needs and preferences. A complex disconnect between “enterprise” and “workplace” systems, resulting in resource production volumes and quality becoming an event that needs to be subsequently addressed by the value chain. 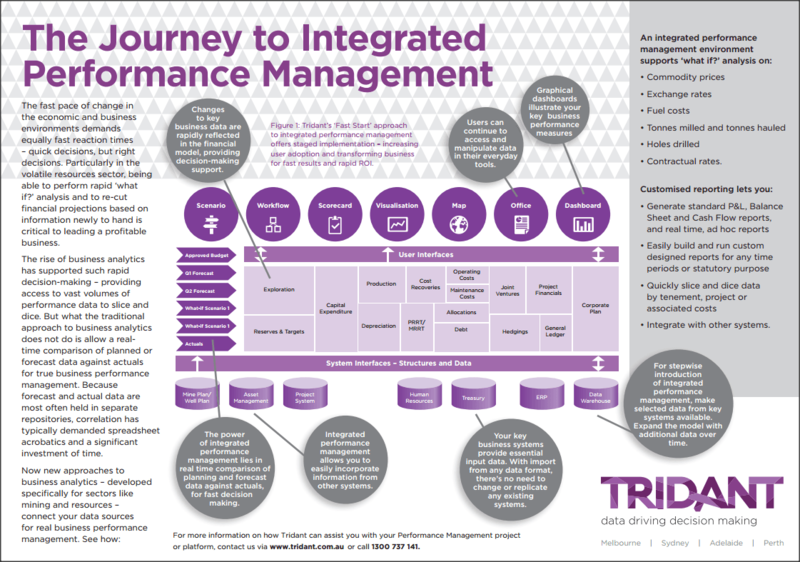 Achieve Better Performance Management With Tridant.